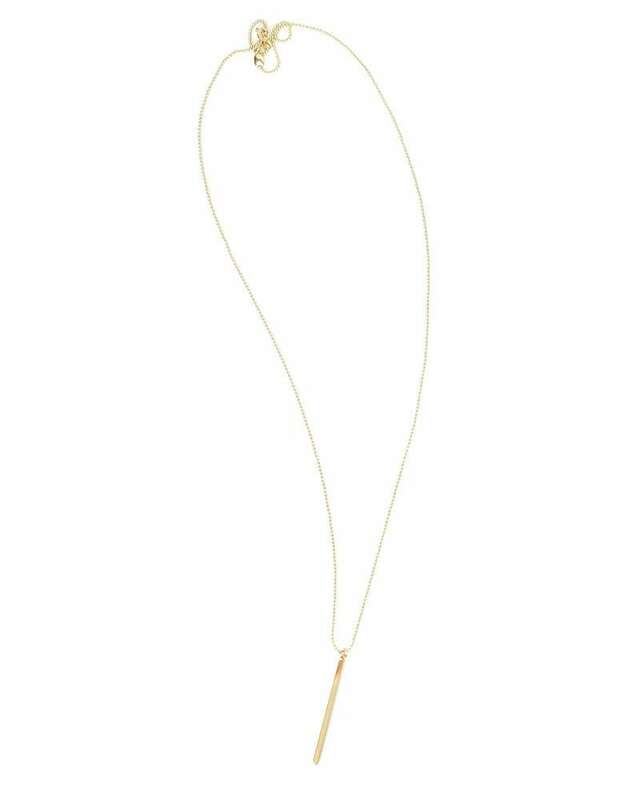 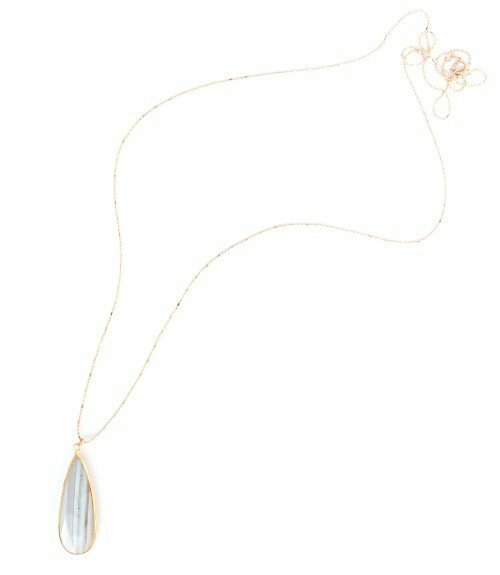 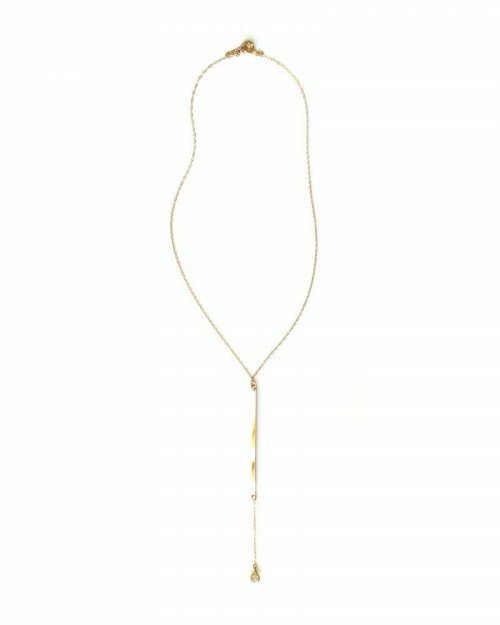 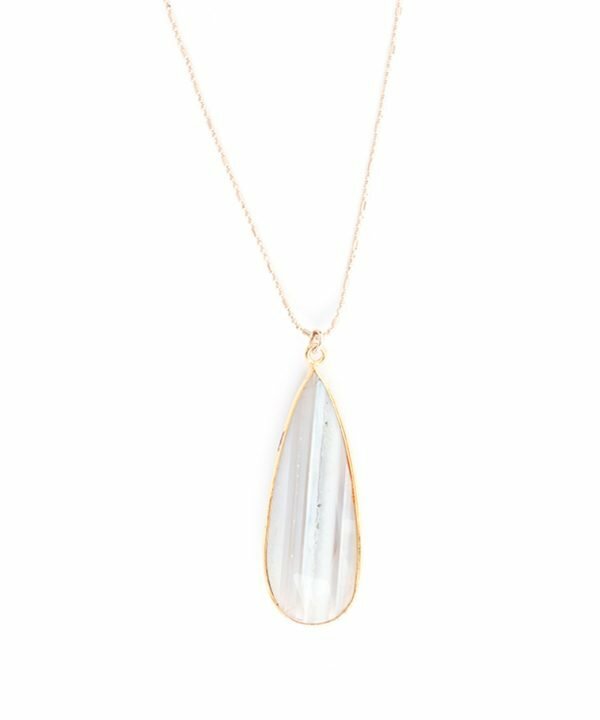 This simply perfect bead chain with gold plated bar pendant is a great staple piece to add to your Layer Up Necklace collection. 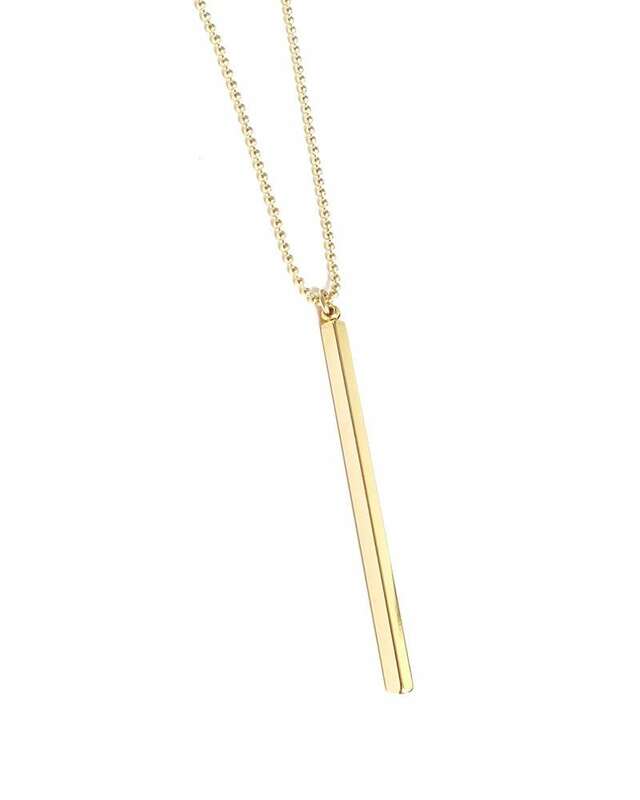 28″ long 14k gold filled bead chain with 1.75″ bar pendant. 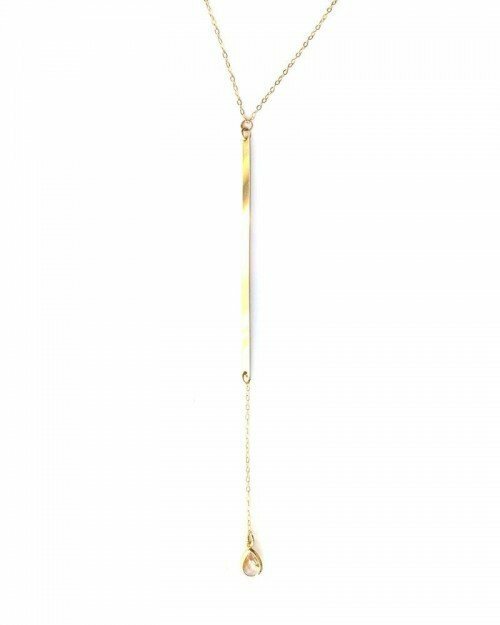 Shown with the Lead Necklace and the Pyrite & Evil Eye Necklace.